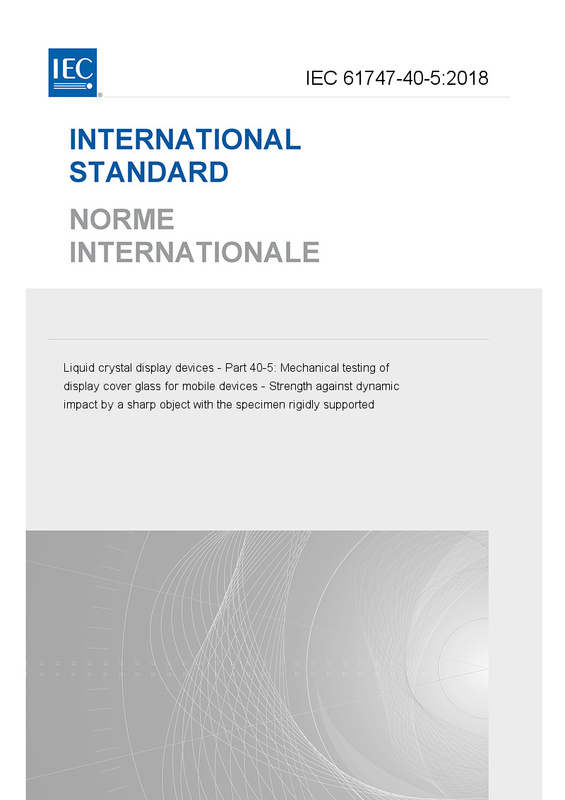 IEC 61747-40-5:2018(E) is a mechanical performance testing procedure for cover glass used in electronic displays in mobile devices. This document focuses on the measurement of surface impact energy required to fracture a specimen due to the collision of sharp particles onto the surface of a cover glass. This is achieved by dropping a ball on a sheet of coated abrasives placed on the cover glass, which is rigidly supported. The failure mode is associated with damage introduction via sharp contact. Crack propagation is enhanced by central tension in the case of strengthened glass. This failure mode represents one of several field failure modes observed in mobile devices.